While sadly, there is no cure for the disease, there are ways to manage associated symptoms. Typically a number of healthcare professionals will be involved in the treatment programme, including a rheumatologist (specialising in muscle and joint conditions), a neurologist (specialising in conditions of the central nervous system) and a psychologist (specialising in mental health and psychological treatments). Due to the multi-faceted nature of fibromyalgia, one single treatment rarely works – instead it is a combined approach that proves most helpful. For many sufferers, this includes complementary and alternative medicine (CAM). Whilst there has been little scientific evidence into the effectiveness of complementary and alternative therapies for the treatment of fibromyalgia, many experts in the field believe when combined with conventional approaches they can help to aid relaxation, ease pain and reduce associated stress. 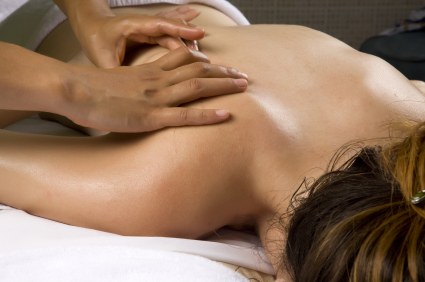 What are the most popular complementary and alternative therapies for pain? Perhaps unsurprisingly, the most popular form of therapy to help with pain was found to be massage. Helping to reduce muscle stiffness, improve blood circulation and boost the body’s production of natural painkillers, gentle massage can ease pain and aid relaxation. There are many different forms of massage available, however more gentle types are recommended for those with fibromyalgia. If you opt for this complementary therapy, be sure to tell your therapist about your condition so they can tailor your massage treatment accordingly. Recommended by the National Institute of Health and Care Excellence (NICE) for back pain, acupuncture is another popular therapy for pain management. With both Traditional Chinese and Western applications, acupuncture aims to stimulate points of the body to help promote natural healing and pain relief. Another treatment growing in popularity is a healing energy therapy called Reiki. In this therapy the practitioner’s hands are placed on or over the recipient’s body with the aim of channel universal life energy. This energy is believed to help promote self-healing and many Fibromyalgia sufferers come away feeling less burdened and more relaxed. Other therapies mentioned in our poll included yoga therapy, Pilates and homeopathy. If you are considering trying any of the therapies we have mentioned here to help with fibromyalgia pain, you are advised to speak to your doctor to ensure there is no conflict of interest. Once you have been given the all clear from your doctor, you can find professional therapists in your local area on the Therapy Directory.